​7 weeks ago. 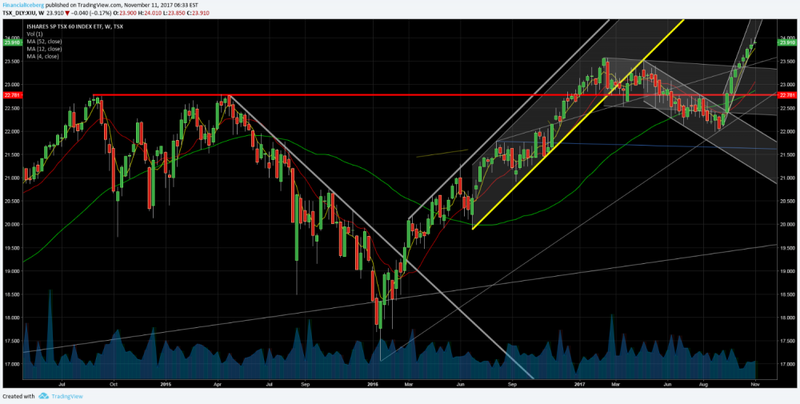 ​Broke the Weekly ​Downtrend Channel Resistance 8 weeks ago. 2​) XFN ETF (iShares S&P/TSX Capped Financials Index ETF) New High Ever. 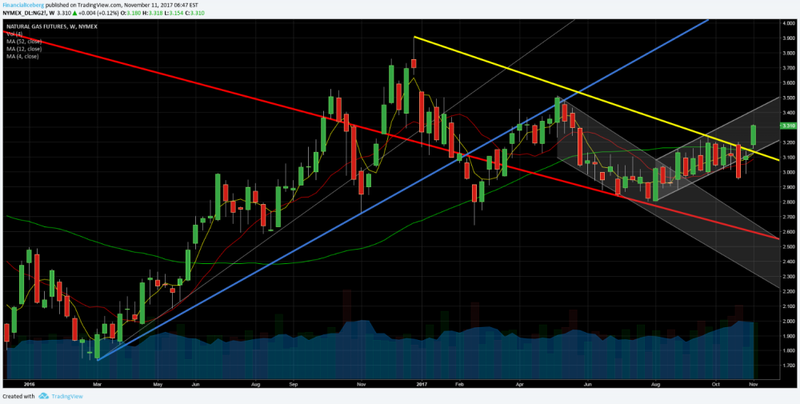 ​Weekly Downtrend Channel​. 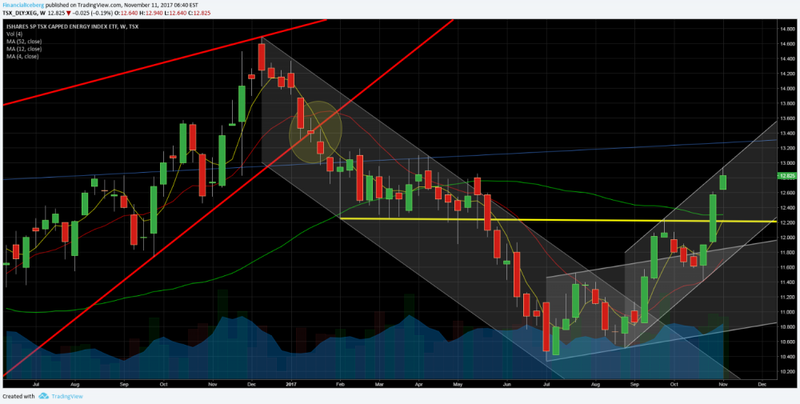 ​(See 4rth chart below - Channel) Broke above the previous Weekly Breakdown Trendline (yellow) that Bulls need to protect.​ Into a Weekly Uptrend Channel. 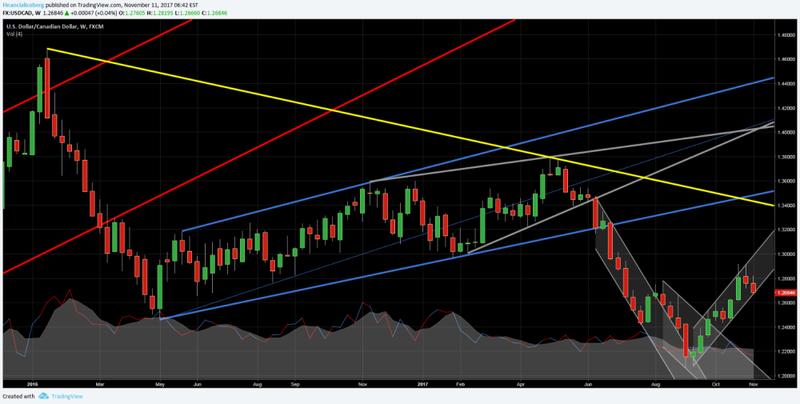 ​​​5) Canadian Dollar/ US$ (USDCAD) Broke violently a Weekly Megaphone Support Technical Pattern 20 weeks ago. 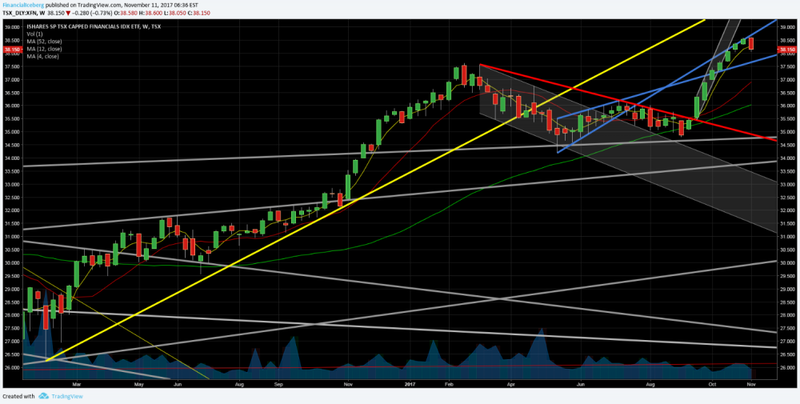 ​(See fifth chart below - Blue Trendlines)​ Still Into a Weekly Uptrend Channel. At Support. 6) XBB ETF (iShares Canadian Universe Bond Index ETF) Broke 22 weeks ago a steep Weekly Rising Wedge Support Trendline. 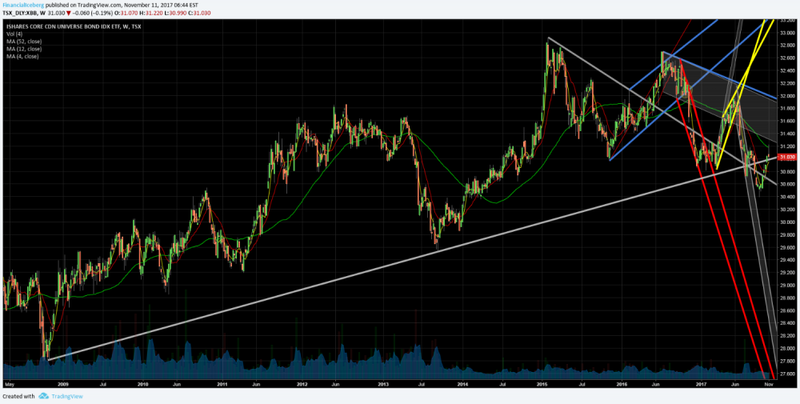 ​​(See sixth chart below - Yellow Trendlines) Back last week above the Major Weekly Support Trendline that started back in October 2008! (Grey). 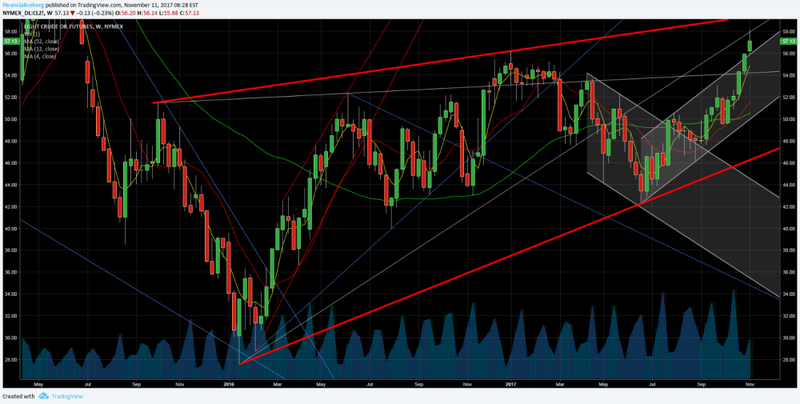 Weekly Inverted Hammer last week. 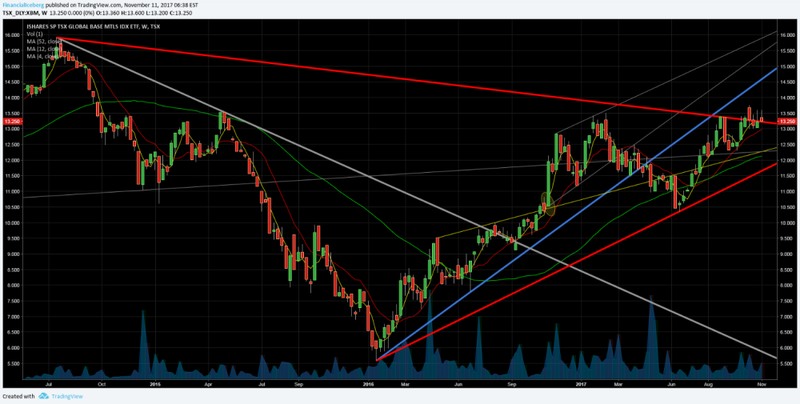 8) Natural Gas Futures (NG2-NYMEX) Bulls broke last week the Weekly Resistance Trendline. ​ ​(See eight chart below -Yellow trendline). 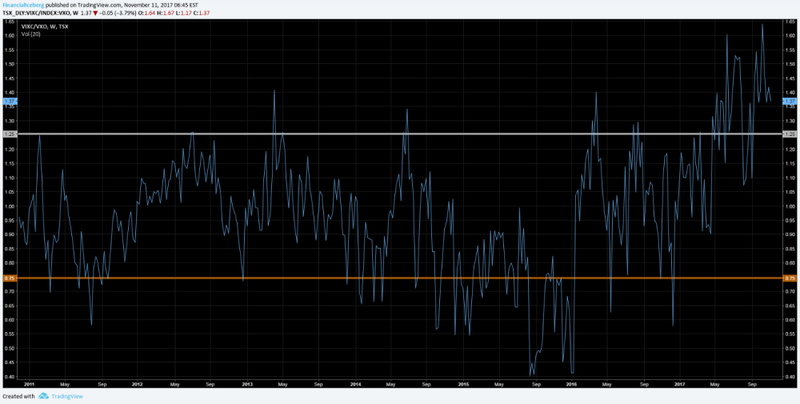 ​​The XIU ETF finally started to out perform the SP500 Index (SPY ETF) as the Bank of Canada softer tone 7 weeks ago bring the XIU back above the critical level of 22.78. Oil stocks still helping tremendously on a short term basis.